This past June my wife, kids and I were in Southern California for a week on a family vacation. 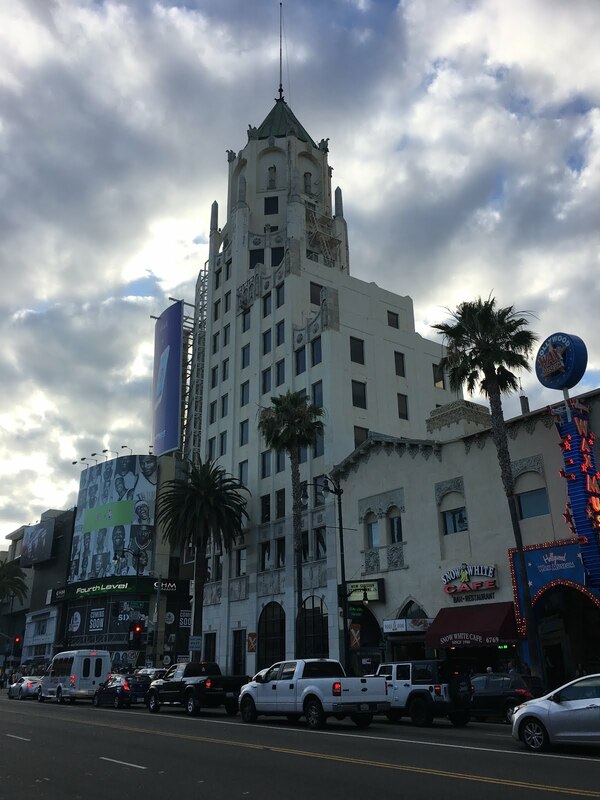 After dinner at Miceli's, I took some additional time to explore a bit of Hollywood Boulevard. Here's are links to Part I, Part II, Part III of this series. 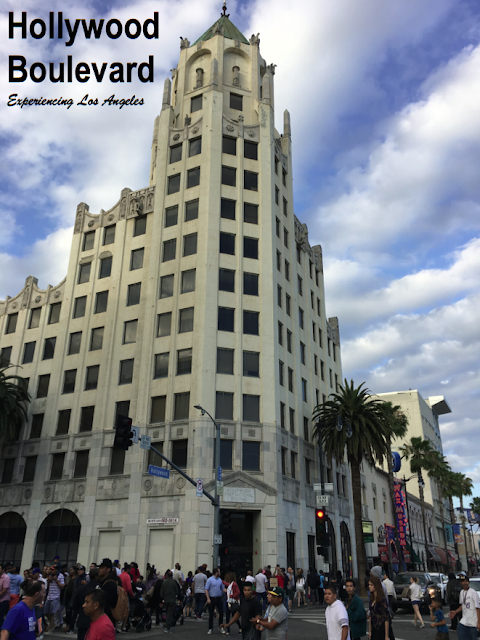 Above, the historic 1928 Hollywood First National Bank Building at the intersection of Hollywood Boulevard and Highland Avenue. This is looking towards the corner of Hollywood Boulevard and McCadden Place. 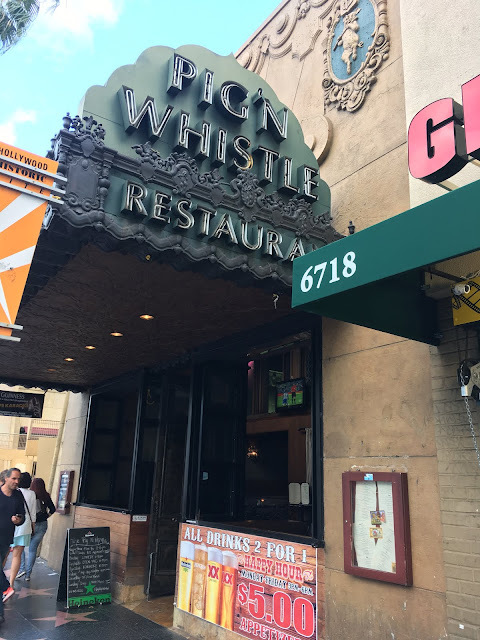 The Pig 'N Whistle has been a Hollywood institution since 1927, and was brought back to it's former glory in 1999, when British restaurant operator Chris Breed remodeled the building. My family and I enjoyed dinner here back in 2013. Walking in front of the Scientology building, some members wanted me to one of their personality tests. Absolutely, no interest. 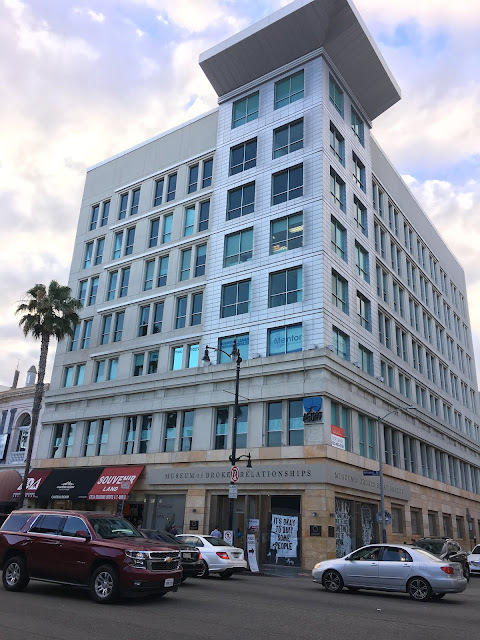 Scientology is a controversial religious organization, considered by at least some former members to be a cult. It has a significance presence in Hollywood. More on that later. Across the street is the Museum of Broken Relationships. Yes, this is an actual thing. Coming up on the Hollywood First National Bank Building. 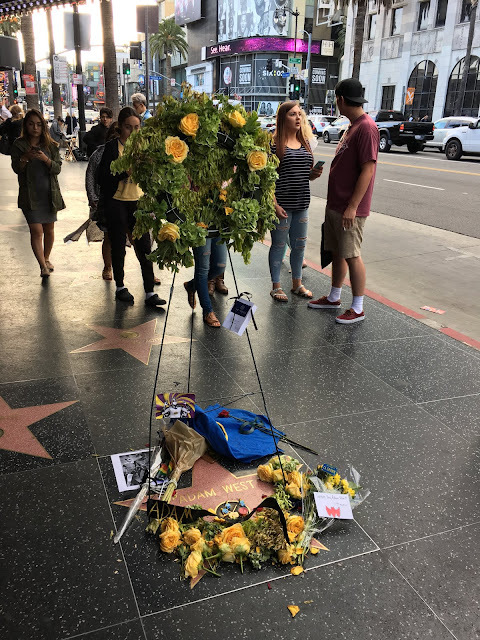 A small memorial was created at actor Adam West's star. West had passed away two days earlier: June 9, 2017. 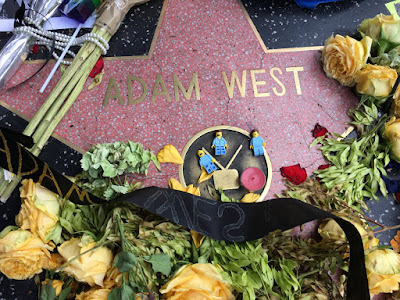 His star is located at 6792 Hollywood Boulevard. 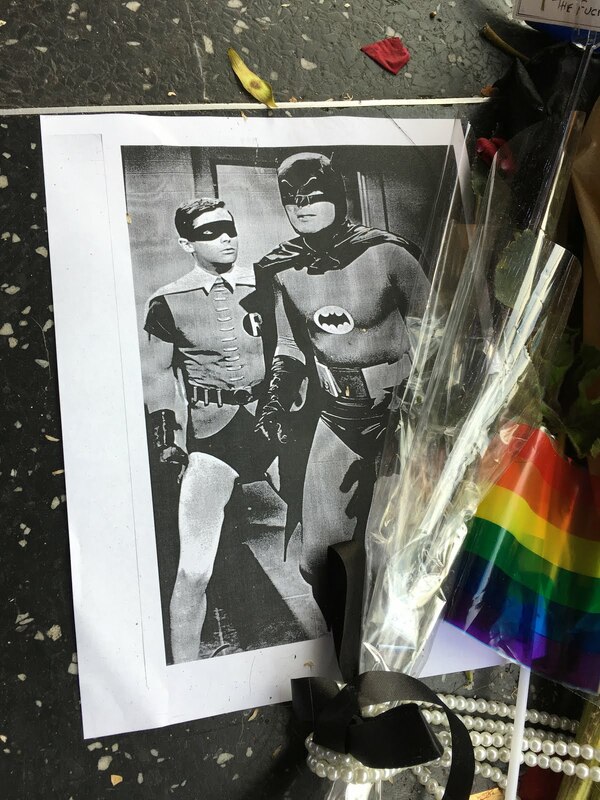 West was best known for his television role of Batman from 1966-1968. I'm old enough to have remembered the original show. ... and lots of street vendors. Do you need a permit? Can anyone just set something up? 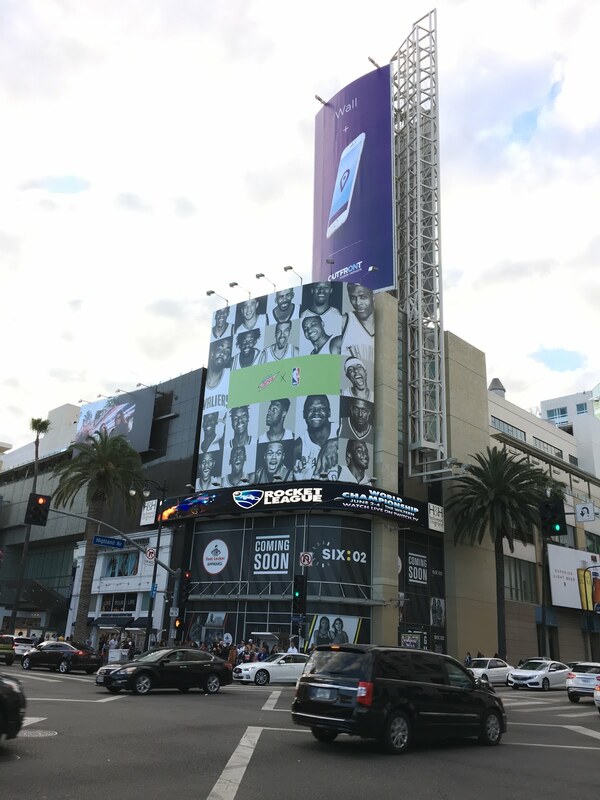 The Hollywood & Highland entertainment complex, located at the intersection of Hollywood Boulevard and Highland Avenue. The large church located at the end of Highland is the Hollywood United Methodist Church. It was prominently featured in the 1953 film War of the Worlds, the interior church gym and classroom used for scenes from Sister Act and Back to the Future. This was early evening on a Sunday. What amazed me was the number of people out and about. 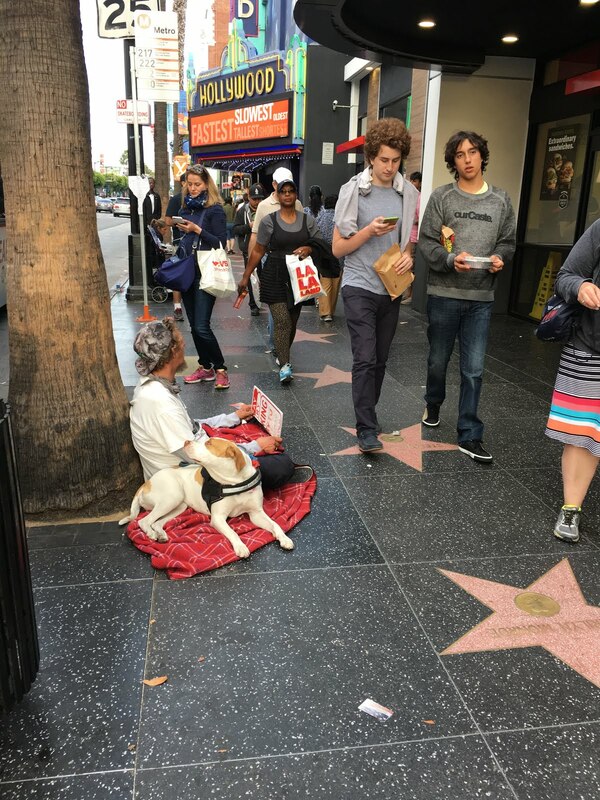 Hollywood continues to draw millions of locals and tourists every year. 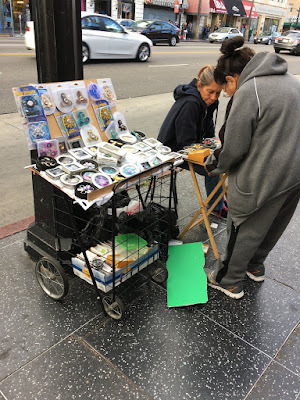 This is just outside the Hollywood & Highland entertainment complex, and the world famous Grauman's Chinese Theatre (now the "TCL Chinese Theatre"). 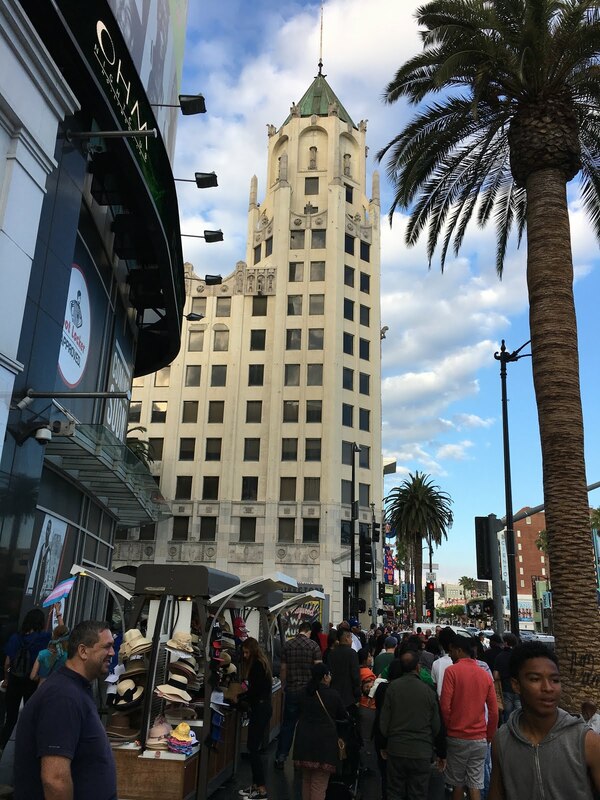 This is also a subway stop for the Metro Red Line, connecting downtown Los Angeles with North Hollywood in the San Fernando Valley. There were dozens of street performers. A final view of the Hollywood First National Bank Building, with more street vendor and scores of people.